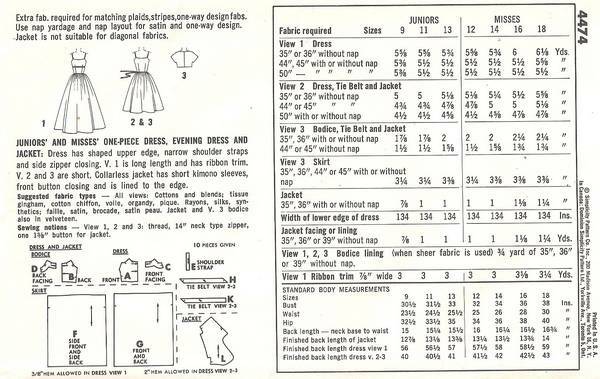 Dress, in long or short length, has shaped upper edge, narrow shoulder straps and side zipper closing. Optional ribbon trim and self fabric tie belt. Collarless jacket has short kimono sleeves, front button closing and is lined to the edge. 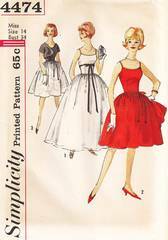 Vintage Simplicity sewing pattern 4474. Uncut, complete and in original folds. Envelope and contents are all in very good condition.